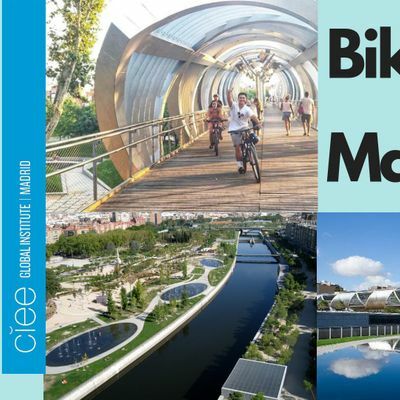 International Bike Day is around the corner, but because it's a national holiday -April 19- from CIEE Madrid we want to celebrate it earlier with a bike ride around Madrid Río. 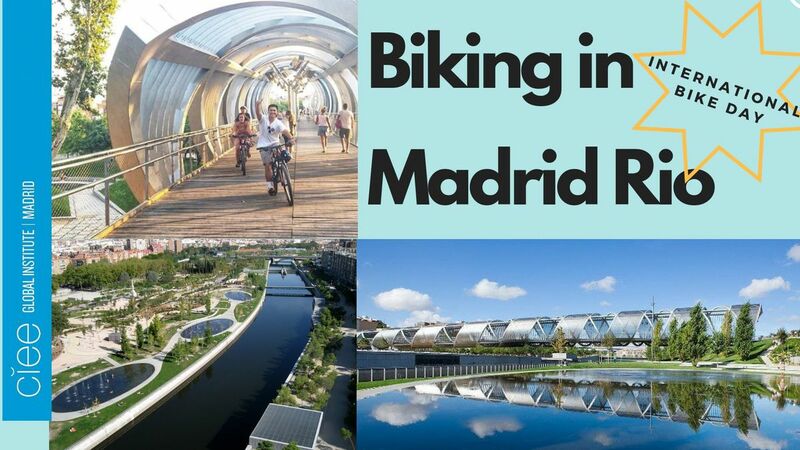 Madrid Río is a huge recreational and cultural area both for its landmarks and leisure facilities and the culture it houses, and for being a reference point from which to contemplate and come into contact with monumental Madrid. From the playful viewpoint of the new system on the bank of the Manzanares, it provides the perfect recipe for a good time with friends and family. For all cultural activities (exhibitions, music festivals, theatre ...) that are held in Matadero Madrid, you pass by new bridges and beautifully constructed bridges. When? Wednesday April 17 at 12 p.m.